TSTWREIS Entrance test 'Exam pattern' for TS Gurukulam 5,6,7,8,9th Class admissions 2019: TSTWREIS entrance test pattern for TS Gurukulam admissions 2019, TS Tribal Welfare Exam pattern for TS Gurukulam admissions 2019: Telangana State Tribal Welfare Education Institutions Society has published the entrance test notification for admissions for the year 2019-2020 for admissions into 5th class and backlog vacancies in 6th to 9th classes in general st schools and admissions into school of excellence (soe) in class 8th and TTWREIS invites the online applications from the eligible students for admission into TS TW Gurukulams in Telangana State for the academic year 2019-2020.
pattern of the question paper is as follows. The test will be for 100 marks in objective type based on the previous year syllabus. 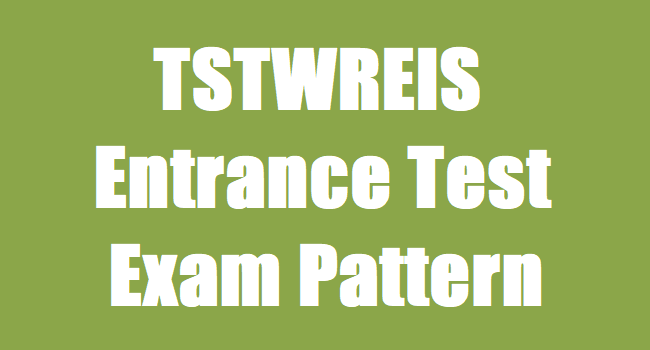 The Weightage of marks for different subjects and form of questions is furnished here under.